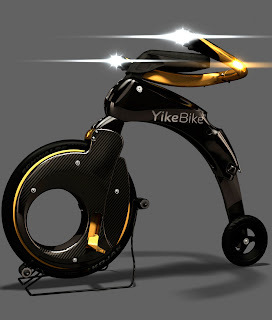 I came across Yike bike the other day online. I thought it looked really cool and wasn't sure if it was a stationary bike or what? Well, it turned out to be an electric bike that you can actually take it to work with!!! Apparently it's only weights 20lbs and you can fold it to minimize the space it takes up. The bike has signal lights so it allows drivers to see which way you are going or stopping. I think it's ideal for someone who has everything especially if that someone has a segway. This will perfectly compliment it. It's definitely more expensive than a typical bike but about the same price as a high end bike. To me, this is a perfect bike for someone who lives in a big city and need to commute a short distance to work; you don't need to find parking for your car, dreading getting a ticket, or pay expensive parking fees. This bike comes in carbon or fusion. Carbon is lighter of the two but it also cost twice as much. 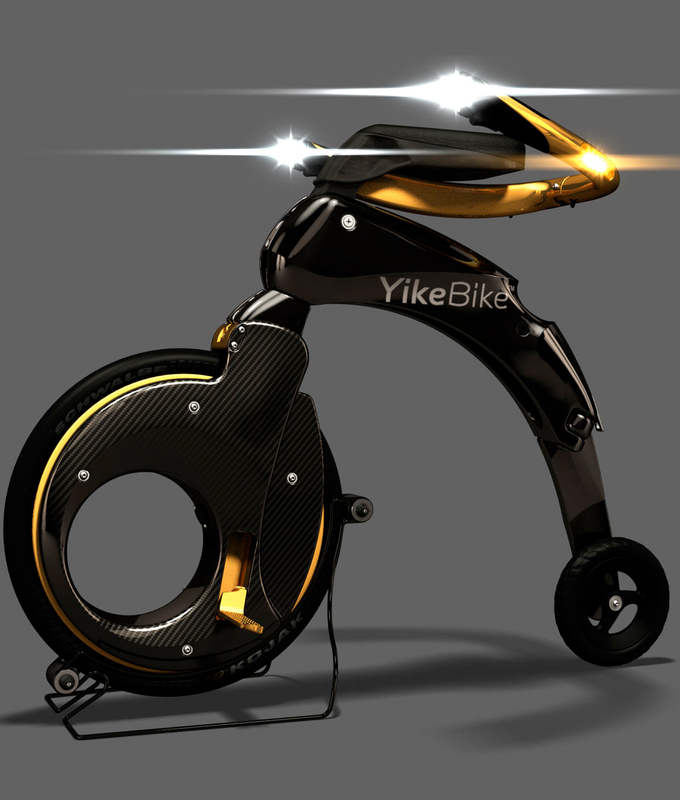 Yike bike comes in standard red, blue, green, black, white. There is also a possibility of customizing the color. LOL! Although cute, it doesn't look particularly safe to me. Have you tried it out yet?